“Midnight” action by the USDA’s Grain Inspection, Packers and Stockyards Administration (GIPSA) caused a stir this week. GIPSA, the USDA division tasked with interpreting the Packers and Stockyards Act of 1921, 7 U.S.C. 181, (the Act) unveiled an interim final rule and two proposed rules that have been in the works for many years. Controversy over the set of rules—which GIPSA has tagged the Farmer Fair Practices Rules—highlights a split between the meat industry on one side, and some livestock producers and growers on the other. On December 14, 2016, GIPSA issued an Interim Final Rule (§ 201.3(a), (b)) specifying that conduct or action can sometimes violate the Act without a finding of harm or likely harm to competition. The same day GIPSA issued two proposed rules, one intended to regulate poultry grower ranking systems (§ 201.214) and another clarifying the definition of Unfair Practices and Undue Preferences (§§ 201.210 and 201.211) under the Act. In the 2008 Farm Bill (Food, Conservation, and Energy Act of 2008, Pub. L. 110-246), Congress directed the Secretary of the USDA to develop criteria that should be used to consider whether actions by packers, swine contractors, and live poultry dealers violated the Packers and Stockyards Act. Specifically, Congress directed the Secretary to create criteria regarding what constitutes “undue or unreasonable preference or advantage” in the sector. GIPSA unveiled proposed regulations in 2010, but Congress blocked their implementation by including “GIPSA riders” in yearly appropriations legislation passed through 2015. Because no such rider was included in 2016 budget legislation, the door again opened for USDA to issue the regulations. § 201.3 Applicability of regulations in this part. (a) Scope of Sections 202(a) and (b) of the Act. The appropriate application of sections 202(a) and (b) of the Act depends on the nature and circumstances of the challenged conduct or action. A finding that the challenged conduct or action adversely affects or is likely to adversely affect competition is not necessary in all cases. Certain conduct or action can be found to violate sections 202(a) and/or (b) of the Act without a finding of harm or likely harm to competition. USDA has consistently taken the position that, in some cases, a violation of section 202(a) or (b) can be proven without proof of competitive harm to the industry. In other words, USDA’s position is that to prevail in an action under the Act, a grower would sometimes need only to show that he was harmed by an unfair, discriminatory, or deceptive practice, not that the challenged practice adversely impacted industry-wide competition. Four U.S. courts of appeals have disagreed with this interpretation of the Act and have required (in cases to which the United States was not a party) that plaintiffs could not prove their claims of unfair or deceptive practices without also proving harm to industry-wide competition. Because proving an industry-wide impact is costly, burdensome, and sometimes impossible, growers and producers have been virtually prevented from bringing actions under the Act. If the interim rule is not withdrawn by the new administration before becoming effective (60 days after issuance), there is no guarantee that the U.S. courts will change their position. Rather, the new rule would open the door to test litigation. GIPSA contends that the presence of a regulation detailing the agency’s position will cause the courts to change their positions. Proponents of the new rule (which include many livestock producers and poultry growers and organizations representing the interests of farmers and ranchers) argue that it will provide legal relief for farmers and ranchers who currently suffer because of unfair conduct (such as false weighing, unfair contracts, and retaliatory behavior) without any legal recourse. They contend there is an imbalance in power between contract producers and packers and that the new rule would level the playing field. For their part, the packers and poultry dealers contend that because Act is an antitrust law, competitive harm is essential to a violation. 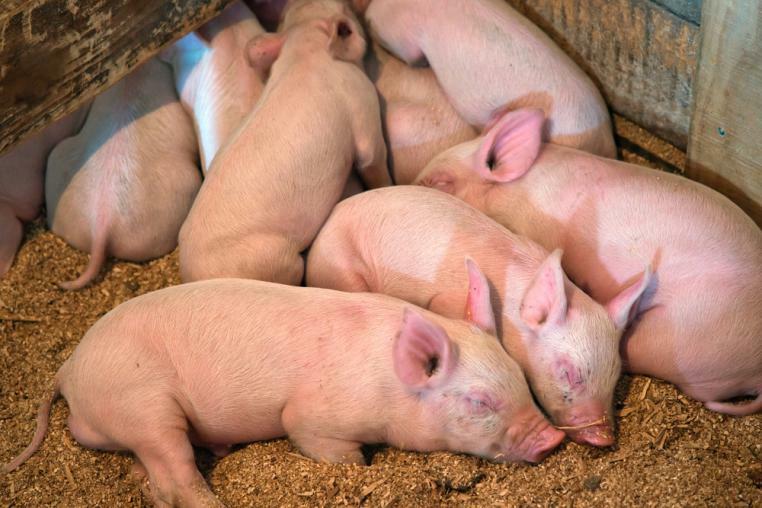 They contend that the increased litigation and risk of litigation stemming from the new Rules would ultimately harm growers because the industry would be required to drastically reduce the number of swine production contract growers, poultry growers, and livestock producers with whom they would do business. Pointing to the court decisions that have required proof of industry-wide competitive injury, opponents of the rulemaking allege that the agency was without authority to implement the new Rules. They predict a flood of frivolous litigation and ultimately greater operational costs, which will ultimately negatively impact growers and consumers. Because this is an interim final rule, the public has 60 days to comment before it becomes effective. The new administration could ultimately choose to withdraw the new rule before implementation. The proposed rules (which are also subject to a 60-day comment period) do not have an automatic effective date. The agency, which will be led by a new administration at the conclusion of the comment period, will then decide whether to amend the rules, withdraw the rules, or make them final as published. the live poultry dealer has demonstrated a legitimate business justification for actions that might otherwise be unfair. Retaliatory action in response to lawful communication, association, or assertion of rights by a livestock producer, swine production contract grower, or poultry grower. These proposed rules are designed to protect growers and producers in their contractual dealings with packers or contractors. USDA statistics reveal that in 2012, 96.4 percent of broilers, 68.5 percent of turkeys, and 43.5 of hogs were raised and delivered pursuant to a production contract. USDA also reports that the percentage of fed cattle marketed to packers under marketing contracts increased to almost 75 percent in 2015. This was in contrast to 35 percent that were marketed under similar contracts in 2005. Likewise, nearly all hogs are marketed pursuant to marketing contracts. All such contracts would be subject to regulation by the new rules, and nearly all such contracts would have to be rewritten to comply with the new rules. The USDA states in the proposed rule that it did not intend these rules to limit the use of alternative marketing arrangements (such as breed certifications) and is requesting comments specifically relating to concerns about that issue. With a new administration and a new Secretary of Agriculture (who, as of today, remains unnamed), it is unclear what will happen with these rules. Nonetheless, the rules are now on the table, forcing the new administration to act.